Drishyam has been one of the most happening films in Tollywood currently. Produced by Suresh productions, this film had gone to censors earlier today and has obtained a clan ‘U’ certificate. Drishyam is the remake of the super hit Malayalam film with the same name, and is all set to hit the screens on July 11th. 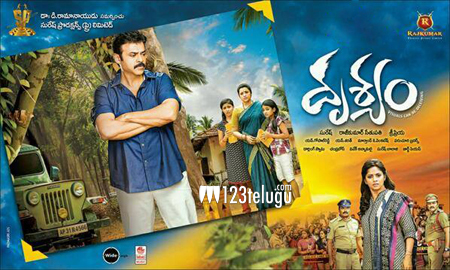 Meena is cast opposite Venkatesh in this film which is directed by Sri Priya. Dear Comrade to be postponed?